Unlimited Edition was released on December 1, 1993. It contains exactly the same cards as Beta, yet with white borders. This marked the beginning of the 'border policy': Roughly said, first printings of each card in a specific language had to be black-bordered and subsequent ones white-bordered, to make the original cards more collectible. 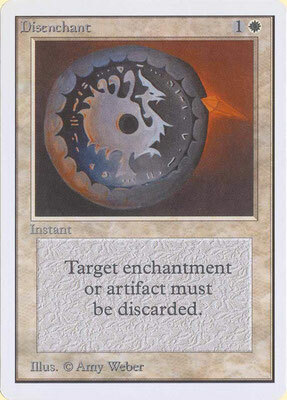 The policy changed many times until 2007 when the last white-bordered cards were realeased. Originally, Wizards of the Coast had planned to release Revised Edition immediately after Beta, but the stores got short on cards too early due to unexpected high demand. Unlimited was created instantly by reusing the Beta film: Tape was applied again to receive white card borders this time.